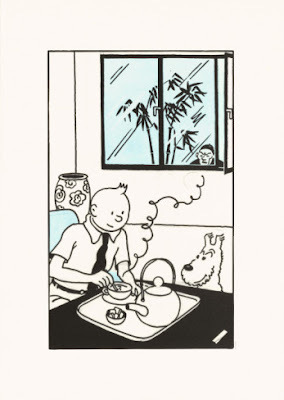 As dedicated as the cartoon character he invented, Belgian artist Georges Rémi created Tintin adventures up until his death. Exceptionally popular with adults and children, the artist better known as Hergé (1907 – 1983) was one of Europe’s most influential comic artists. His character Tintin was a young reporter accompanied by his faithful fox terrier as they fought the world’s evils. Hergé often expressed his controversial, right-wing opinions through Tintin, and his signature, fluid style influenced numerous Brussels’ school cartoonists.